Tastefully decorated rooms, some of which with a view to the pool or the sea from their balcony, located near Kamari beach. Studios can host up to 4 people, making it ideal for families or group of friends. There is also an outdoor pool with a bar. 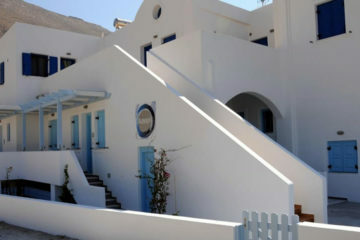 Specify the dates of your visit to Santorini to check availability and prices of Studios Marios.